To set up your credit card billing you need to log into MyAdmin and select the 'Admin' tab. You may first need to collapse the User List before you see the link for 'Billing Details' Here you can configure who the Invoices should be addressed to (name, address etc) and if anyone should have the invoices copied by email when sent. 3. 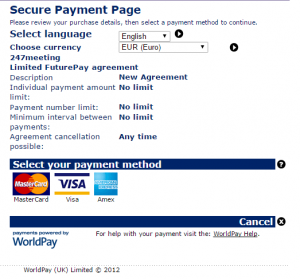 To set up your credit card billing select 'Option 1'. 7. 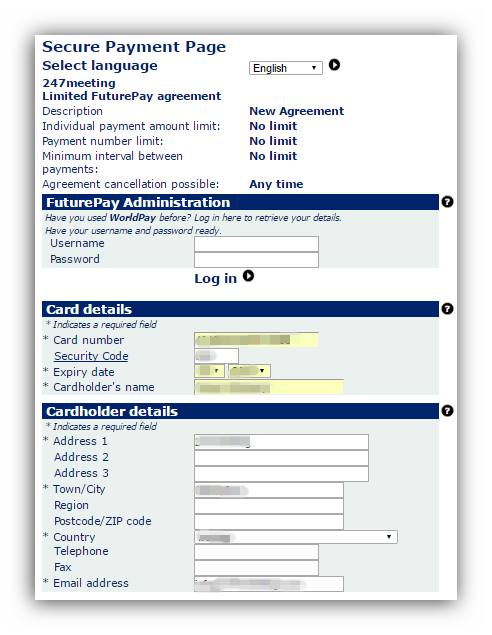 After your 0.00 ‘payment’ is processed you will be redirected to a confirmation screen with the agreement details. You will also be emailed a copy of your username and password which you will need for updating your card details when they expire or change.